Among the many environmental issues faced by aggregate producers, the wetlands regulatory program under Section 404 of the Clean Water Act continues to be a difficult regulatory hurdle. NSSGA is a key member of The National Wetlands Coalition, which is a broad cross-section of state and national trade associations, business and agricultural interests, local governmental entities, Native American groups and others that have joined together to advocate a balanced federal policy for conserving and regulating the nation’s wetlands. The following is an outline of a proposed plan developed by the coalition. Over the last decade, the loss of the nation’s wetlands has been slowed substantially or, according to some observers, even reversed. Nevertheless, we have not yet achieved meaningful wetlands gains nationwide, even though such gains could be achieved by restoring previously functioning wetlands. The wetlands regulatory program remains controversial among landowners and users of land, including state and local agencies, and has been thrown into some measure of disarray by the Supreme Court’s decision on “isolated wetlands” in Solid Waste Agency of Northern Cook County v. U.S. Army Corps of Engineers (531 U.S. 159 (2001)), known as “SWANCC.” The opportunity may exist in the current administration to harness private sector initiative to expand the nation’s base of functioning wetlands, improve the administration of and reduce the level of controversy surrounding the Section 404 permitting program. The following is a five-point plan for achieving these objectives. According to very rough estimates by the U.S. Fish and Wildlife Service that have become part of the “lore” surrounding the wetlands issue, about 100 million acres of wetlands have been “lost” since the colonial era of our nation. Most of this loss has not been due to the development of cities and other such permanent conversions of wetlands, but rather to the drainage of wetlands for farming. Today, with the increase in productivity of American agriculture, many of these lands are no longer cultivated and are lying fallow. Both the opportunity and the technology exist to return these lands to their former wetlands state. 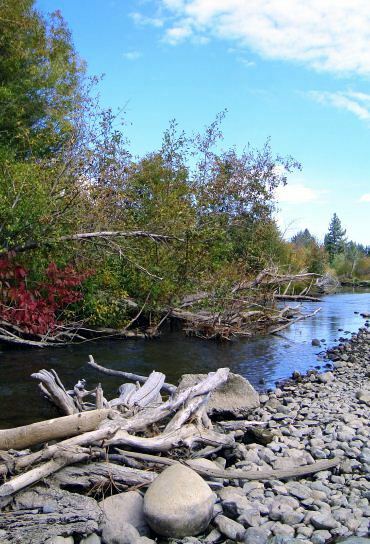 Recent studies by the National Academy of Sciences and the Department of Ecology of the state of Washington suggest that wetlands restoration is more likely to be successful when performed through private sector mitigation banks. Perhaps a goal of 20,000 acres of wetlands gain per year could be established by the administration. This would entail restoring an average of 400 acres per state above the restoration needed to replace wetlands disturbances permitted under the Section 404 program. This amount of restoration could be achieved through a number of mechanisms, including modest changes to the rules governing mitigation banks and the credits allowed for per acre per mitigation banks, such as requiring all federally funded developments (such as highways, airports and the like) to mitigate through private mitigation banks at a favorable ratio. The SWANCC case has engendered significant debate within the administration regarding the meaning of the court’s decision. Did the court mean only to invalidate the “migratory bird rule” as the basis for jurisdiction? Or, did the court mean that the Section 404 program was to be restricted to areas more closely related to the term “navigable waters?” Those asserting that the case must be narrowly interpreted also advance other creative grounds for asserting jurisdiction that, if successful, could actually broaden the area covered by Section 404. The administration should interpret the SWANCC case to mean that the jurisdiction of the Section 404 program is to be limited to those areas that are more traditionally related to “navigable waters.” Since the issuance of the SWANCC case, two states, Ohio and Wisconsin, have enacted legislation to regulate “isolated wetlands” in a fashion that is responsible, yet more flexible than the Section 404 program.